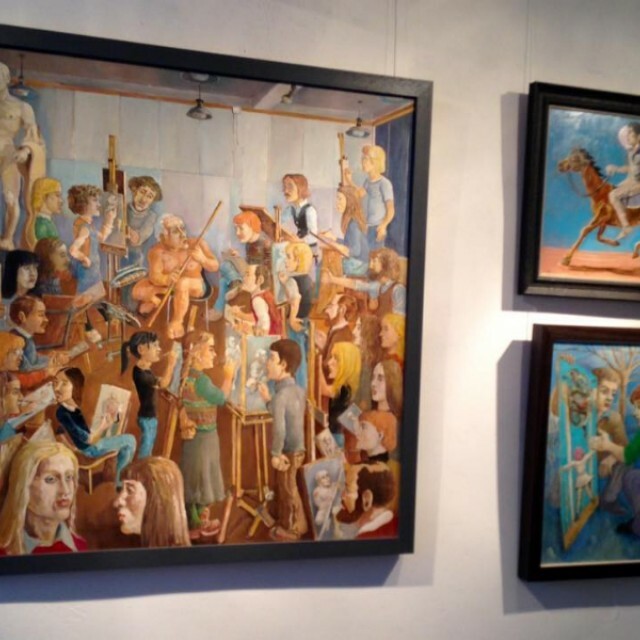 Life as an artist is often a lonely existence, but John Johnstone is a true artist, working alone with commitment in his studio for most of his life. 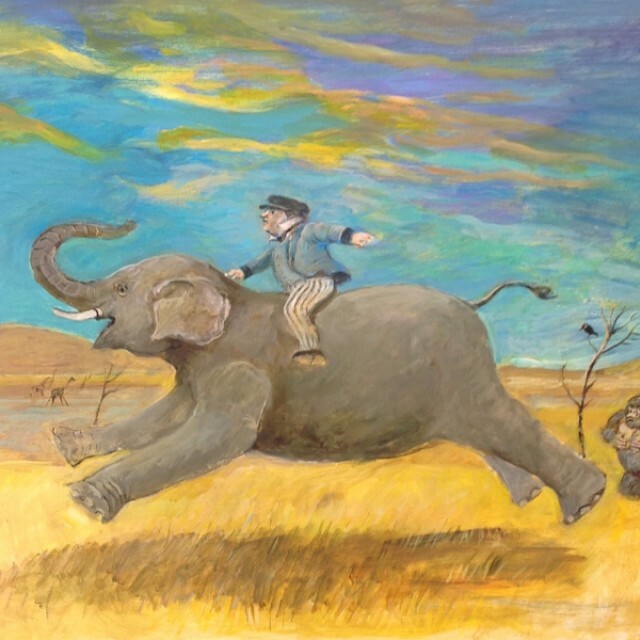 Celebrating this dedication and creativity spanning four decades, Compass Gallery is presenting this solo exhibition of his most recent work together with rarely seen drawings and paintings from earlier in his career - "My works are a visual diary of the people, places and things that populate my life and mind." 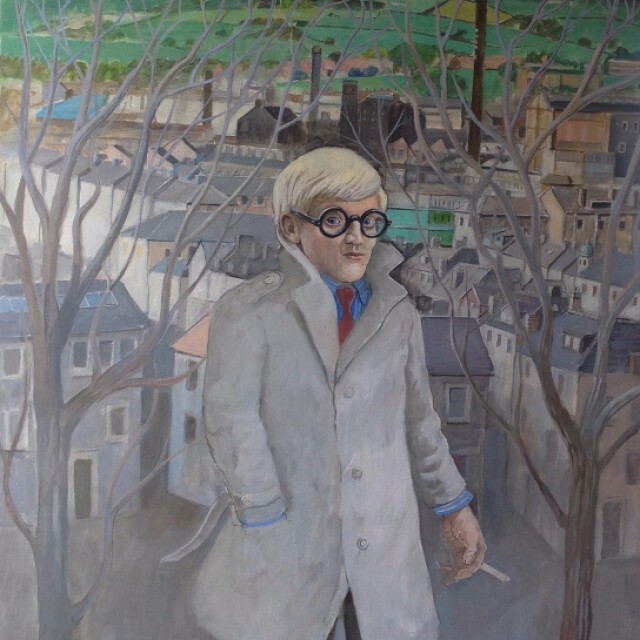 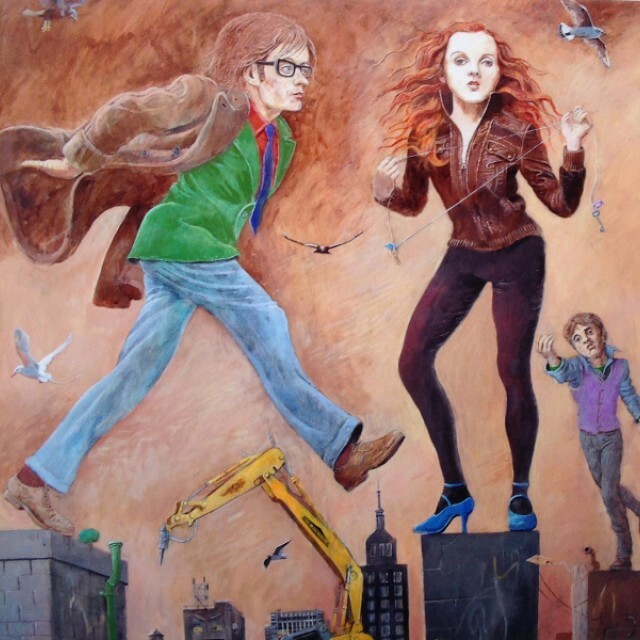 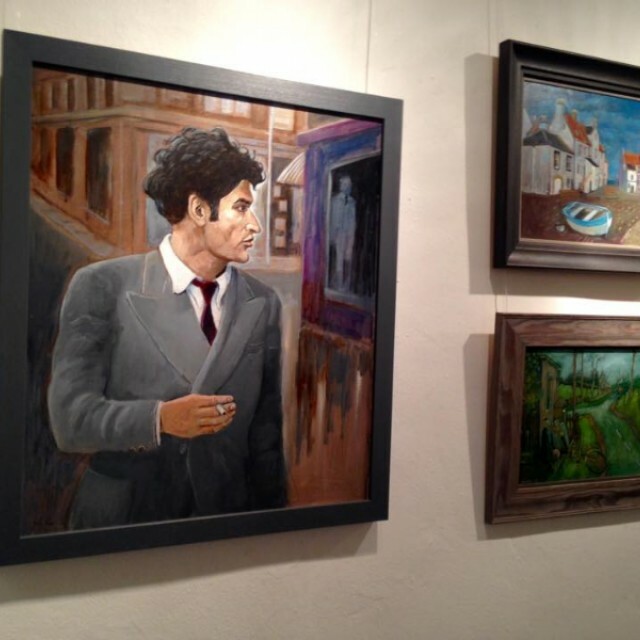 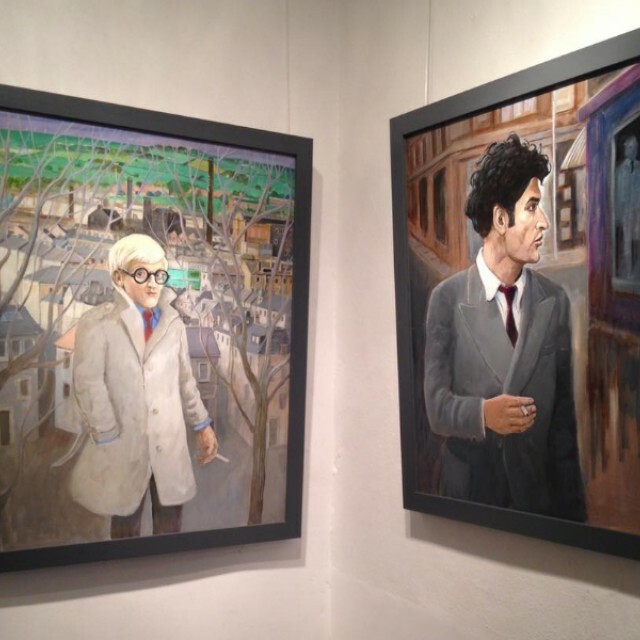 Success in London has absorbed most of his recent paintings so this timely exhibition in Compass Gallery provides a wonderful opportunity for Scotland, particularly Glasgow to see the full scale and depth of his work. 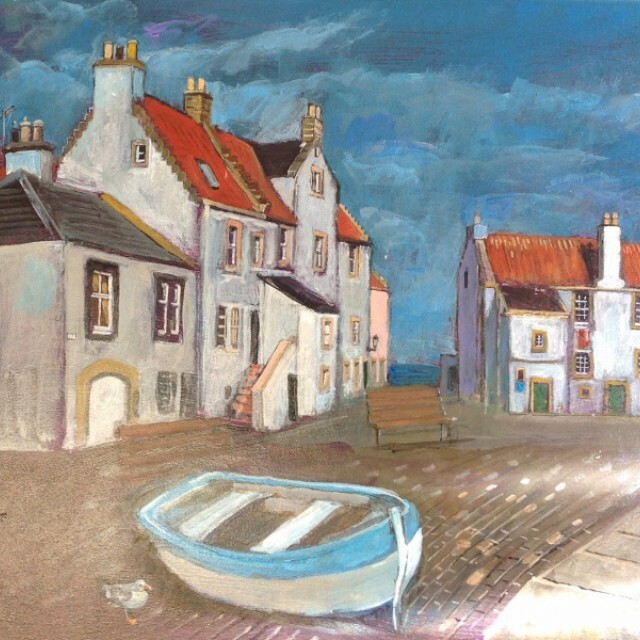 John Johnstone is a story teller. 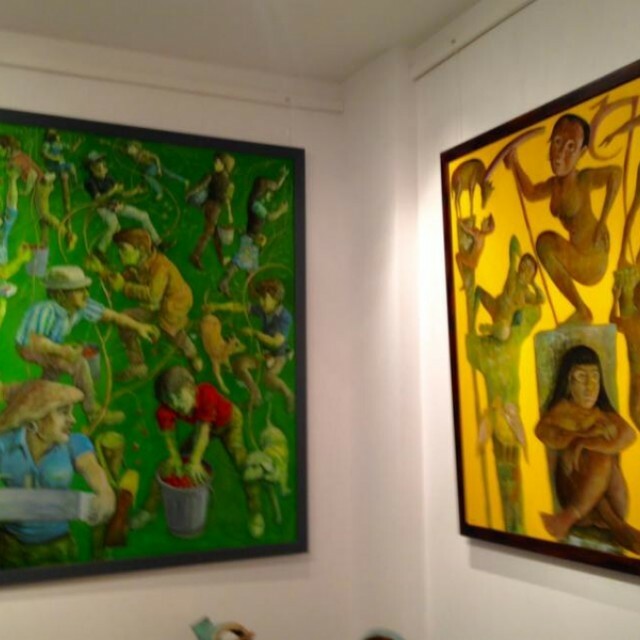 A life spent dreaming thinking and observing he creates paintings that are observed from everyday life illustrating social narratives. 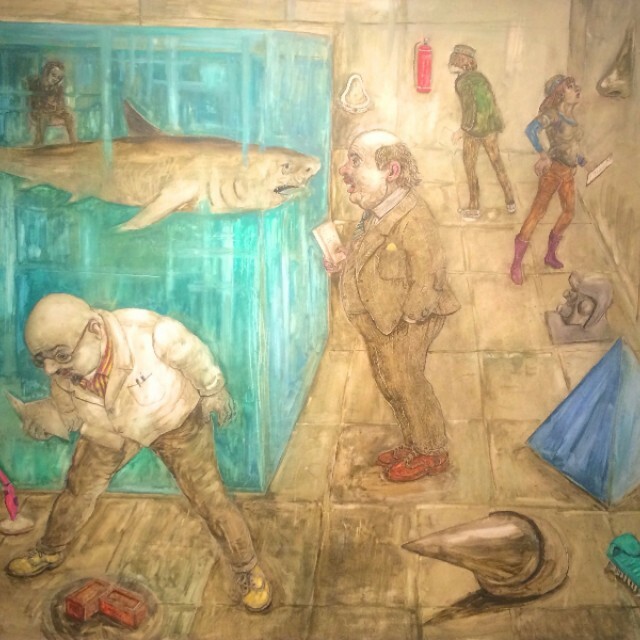 Quirky or allegorical - they often stress the extraordinary quality of ordinary life and his newest paintings are no different. 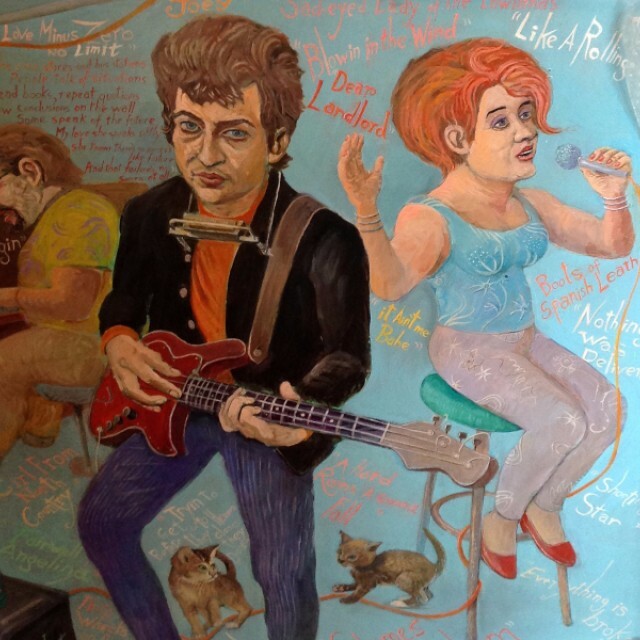 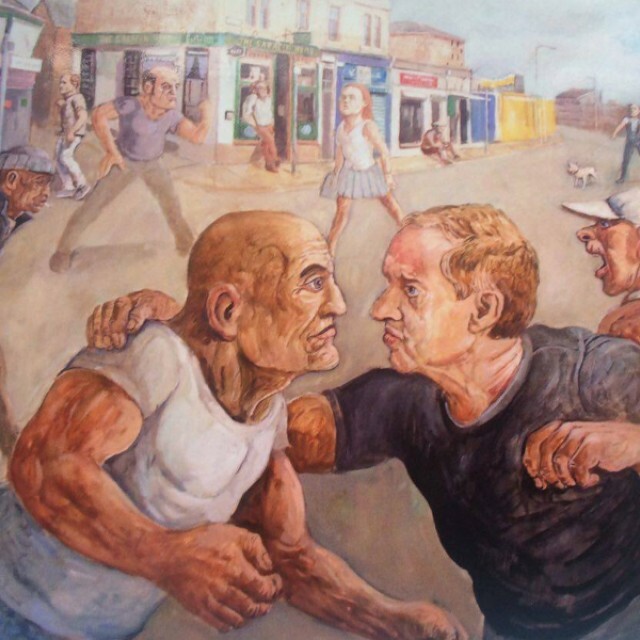 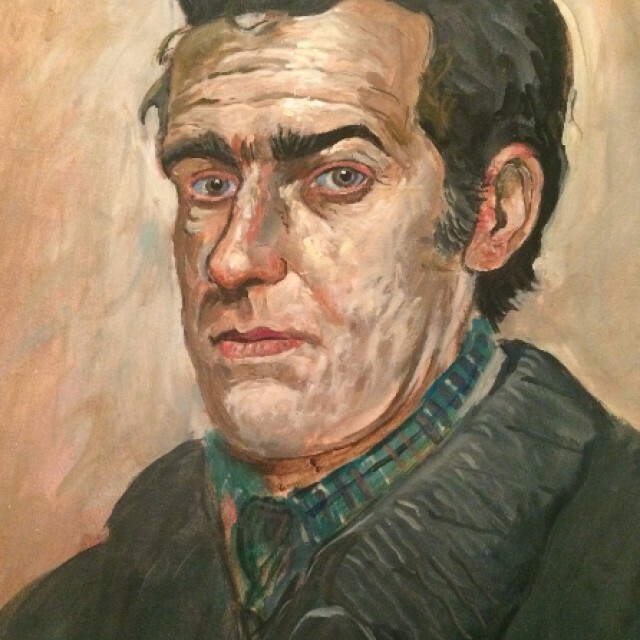 "As a student in Dundee in the 1960s, I began to paint scenes from the dark side of life. 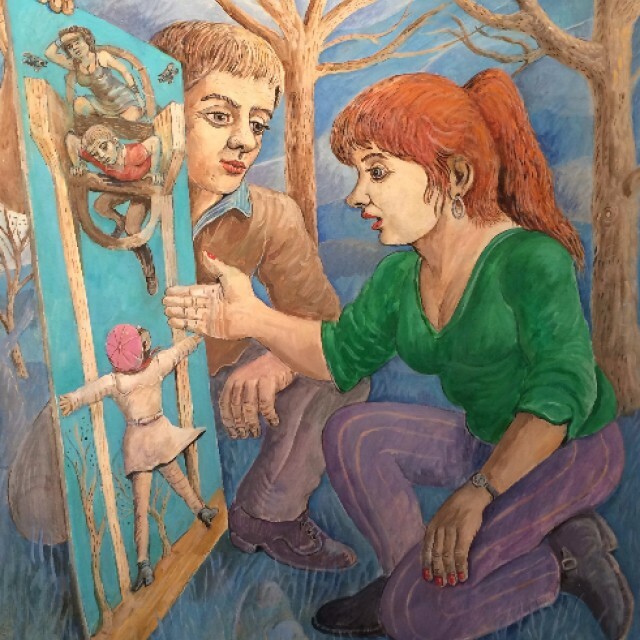 Life was serious - the news often depressing - so I thought that I would reflect that in my paintings and the artists I became interested in were painting troubled and disturbing images. 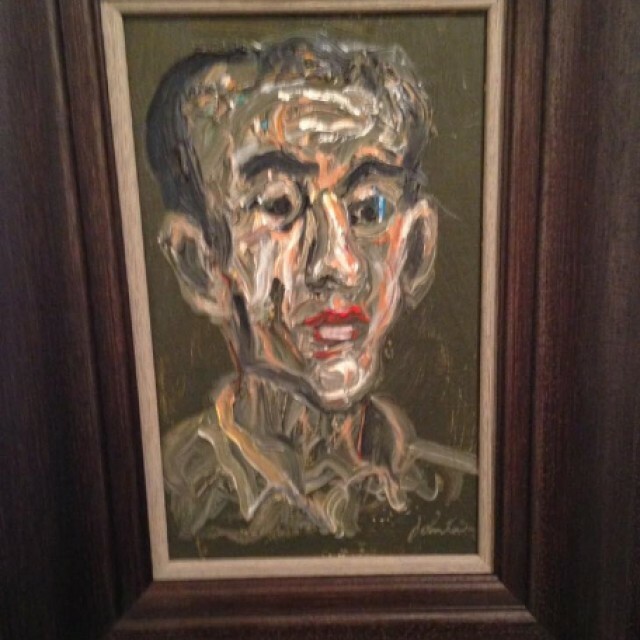 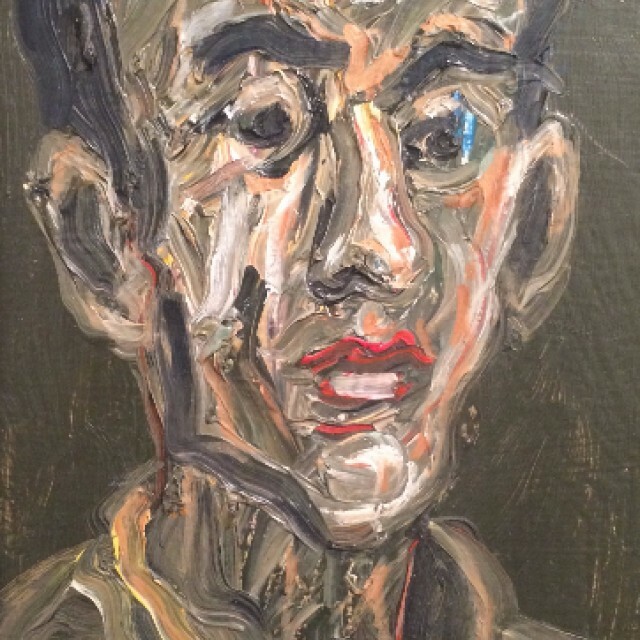 Painters like Soutine, Kokoschka, Schiele and Bacon. 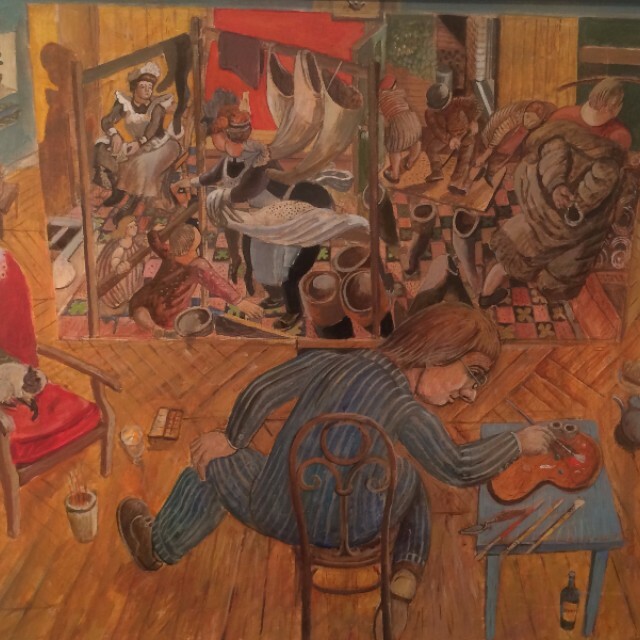 After college I got used to working alone and the paintings became less disturbing. 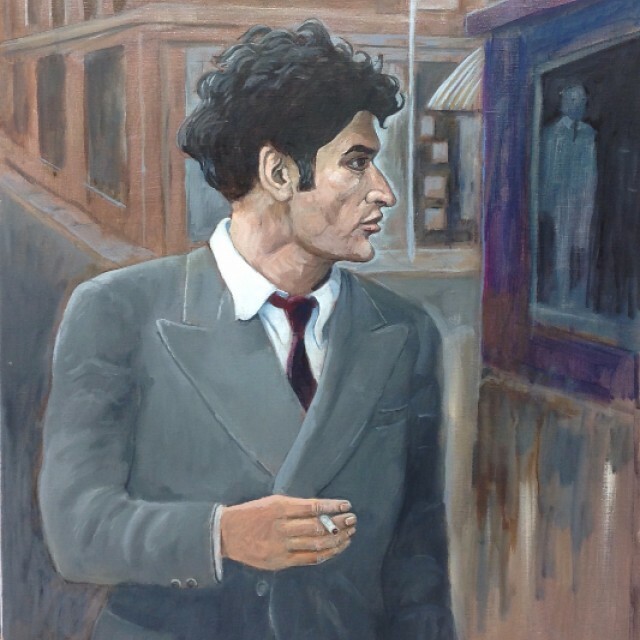 The events had a less powerful impact upon me. 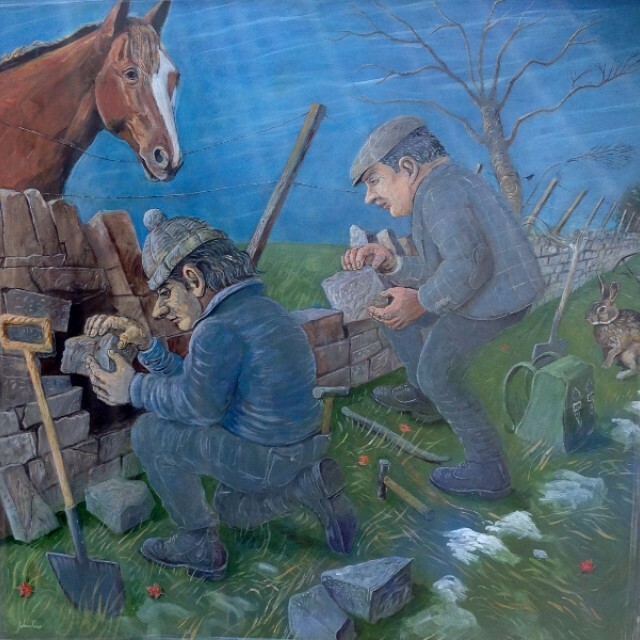 There are problems that are common to us all - but I found that humour was a way of coping with the difficulties of life. 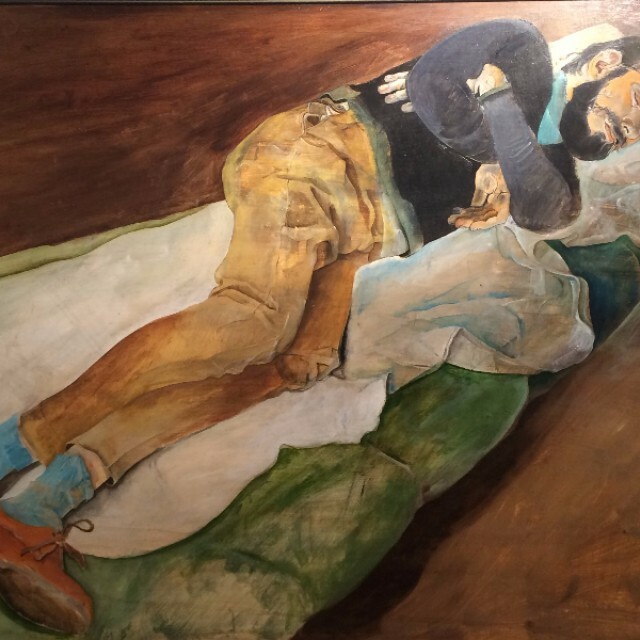 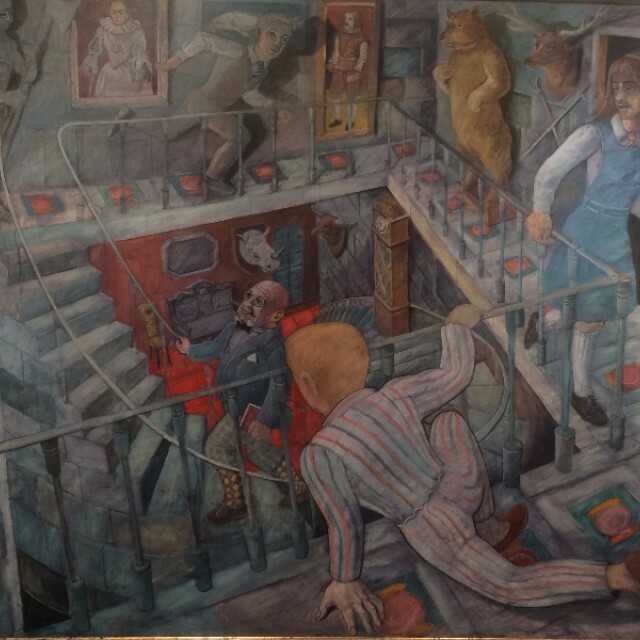 I began to notice the work of Stanley Spencer and Edward Burra which contained an element of humour and in the case of Burra, very sardonic humour. 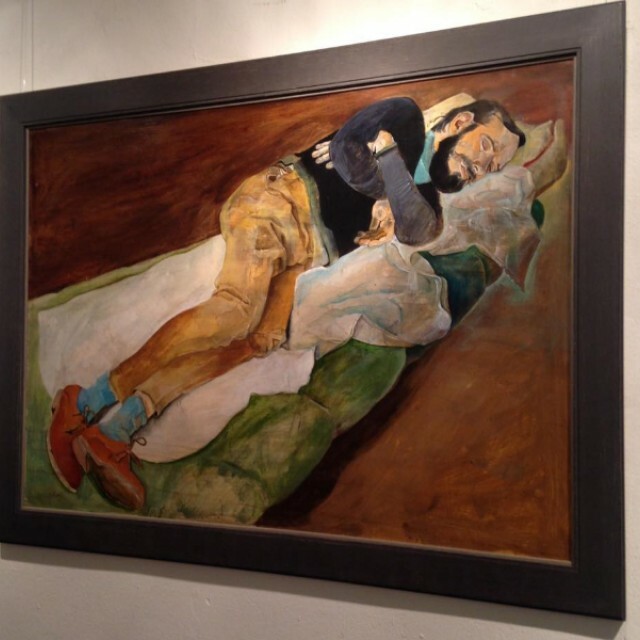 So this feeling began to appear in my work." 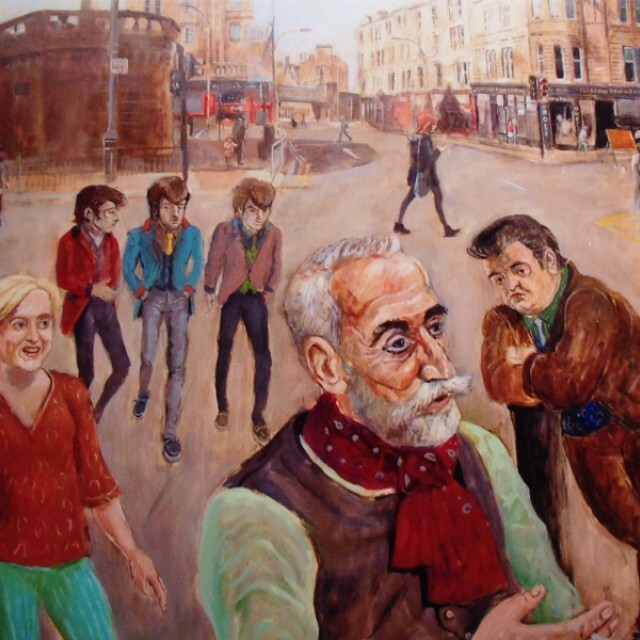 Prompted by his recent research visits to Glasgow for this exhibition, he has fondly looked at familiar Glasgow locations and to some of its famous cultural sons and daughters for inspiration 2this exhibition is in a way a homage to Glasgow and its many famous painters, musicians and writers I admire." 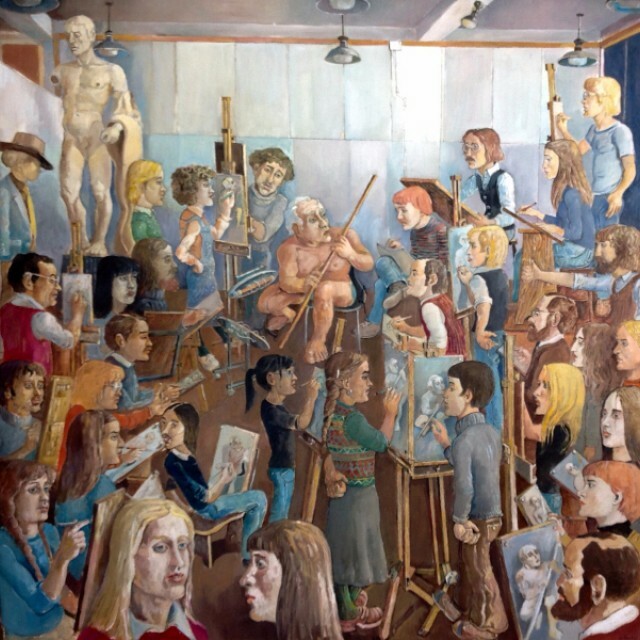 The fundamental importance and practise of drawing and figure composition is the foundation of Johnstone's work and teaching, it is still an integral part of his life. 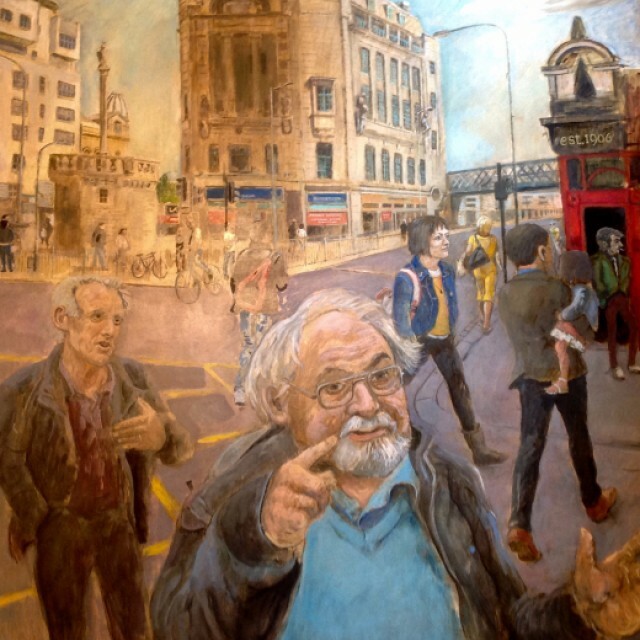 A tutor at Duncan of Jordanstone, Dundee, he has been drawing compulsively since childhood developing a sound knowledge of the anatomy of the human body - this allows him the freedom to distort his figures to add an element of humour to his work. 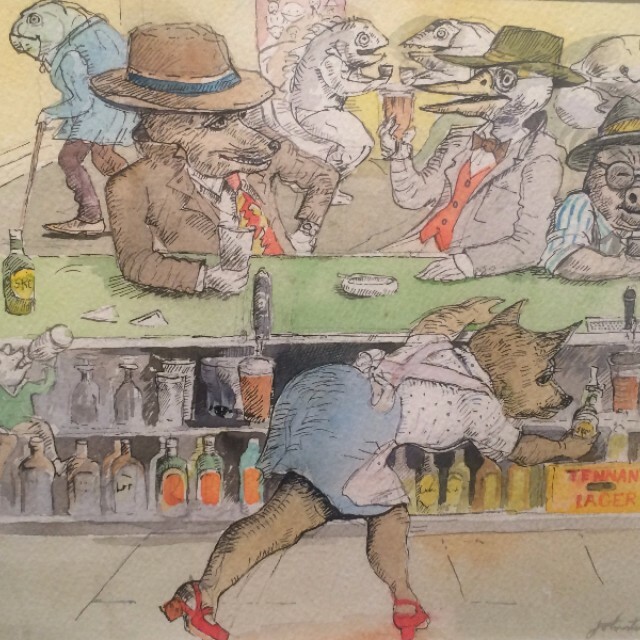 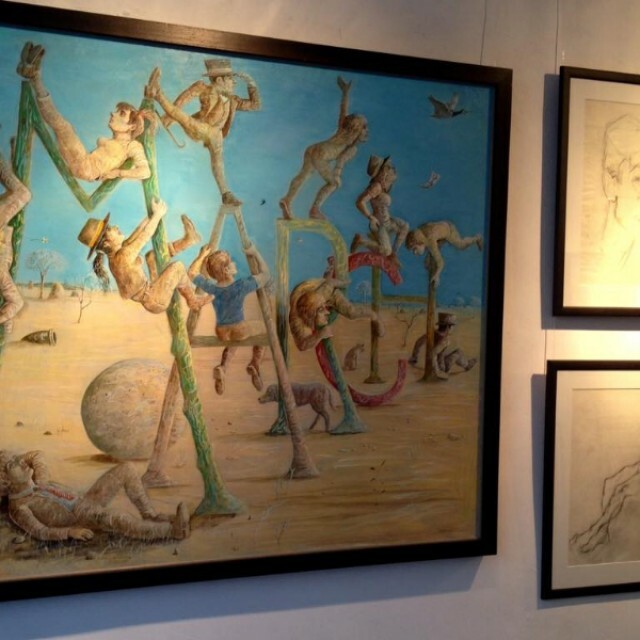 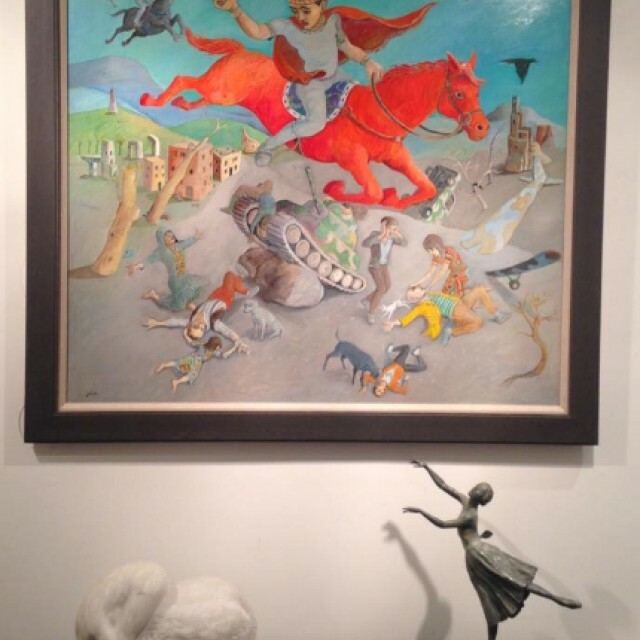 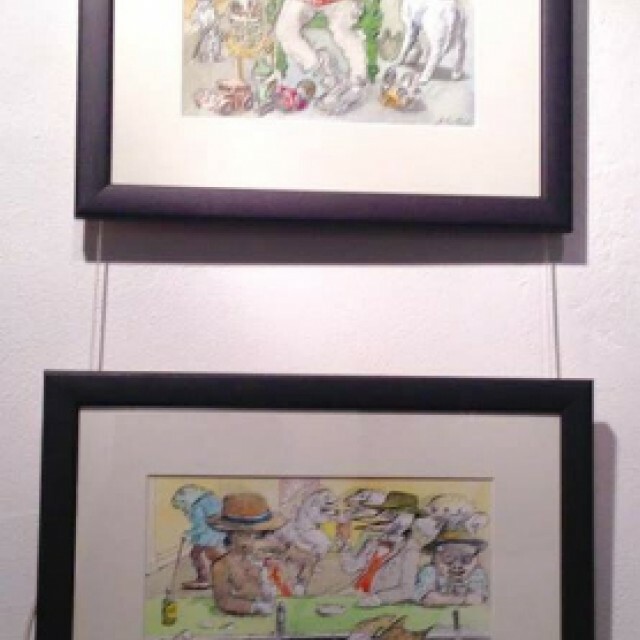 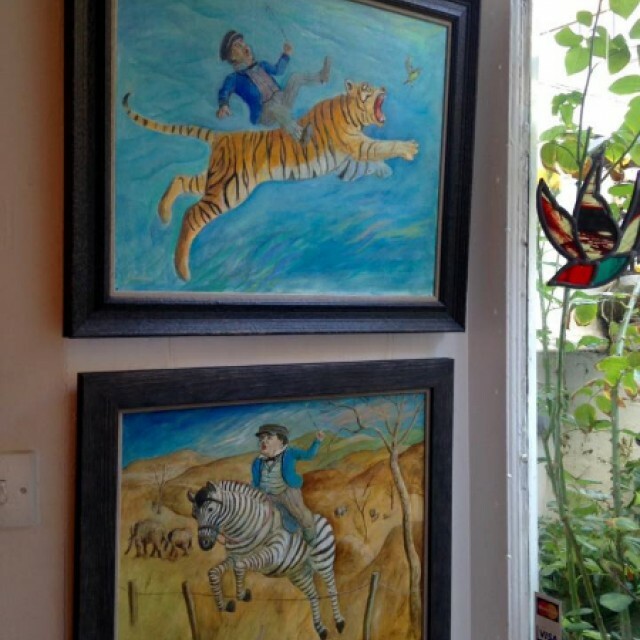 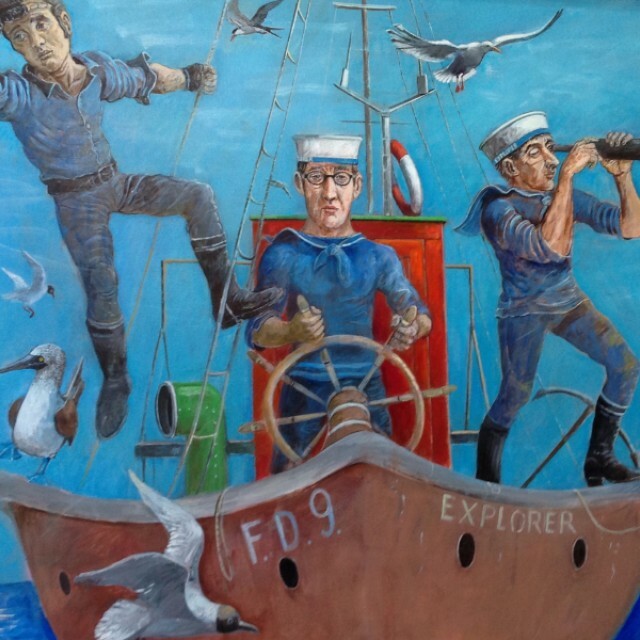 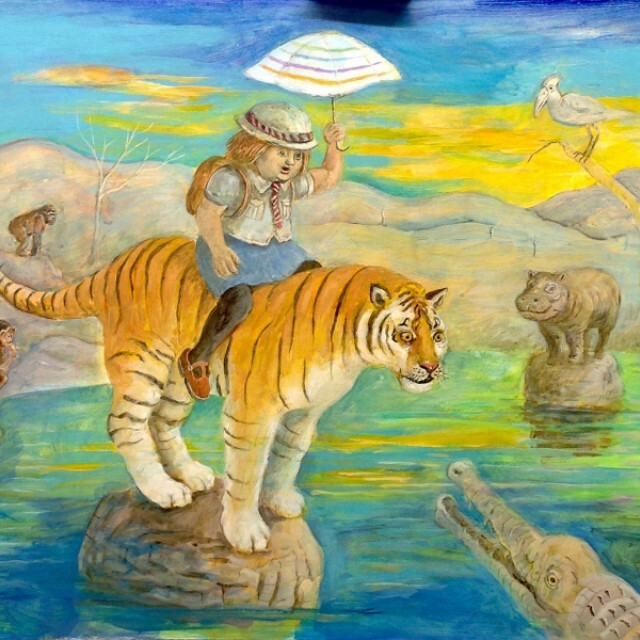 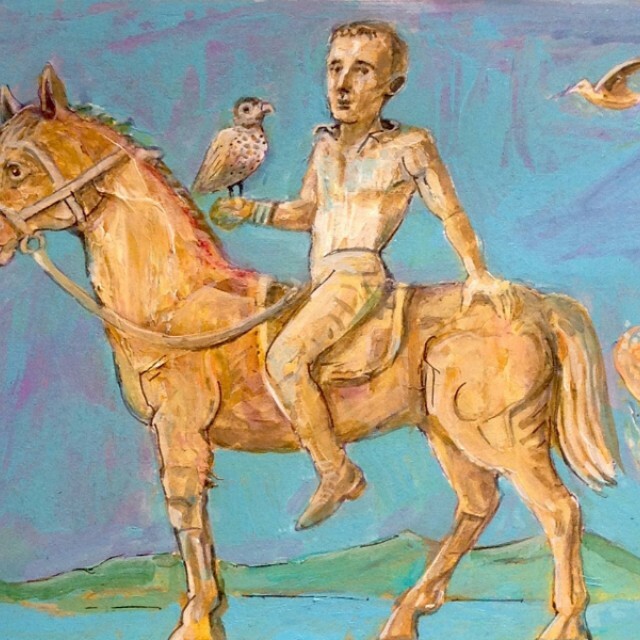 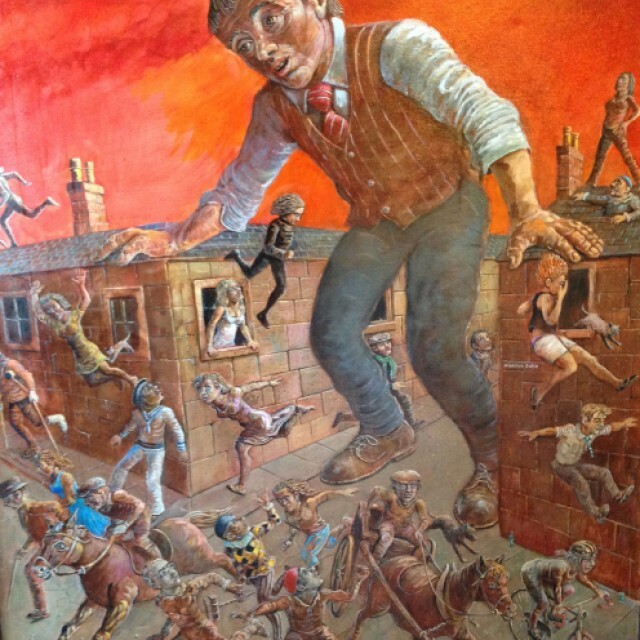 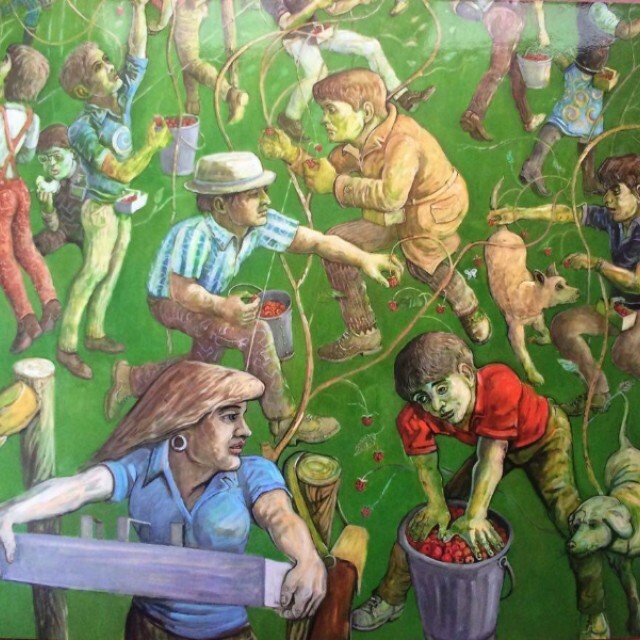 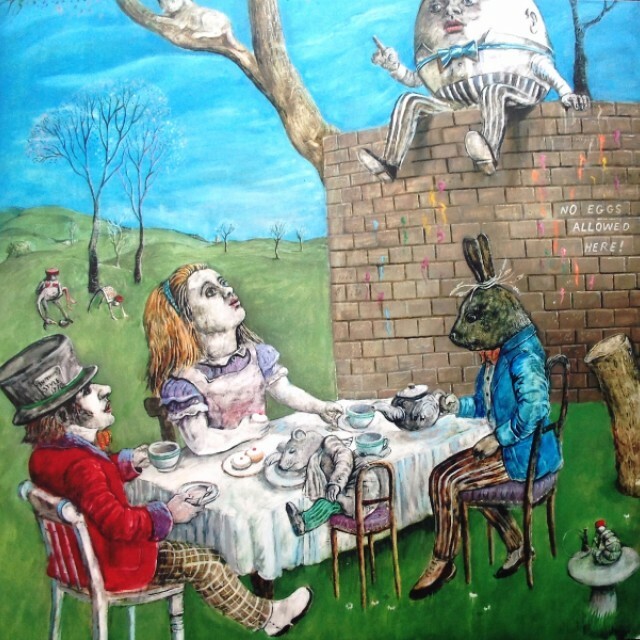 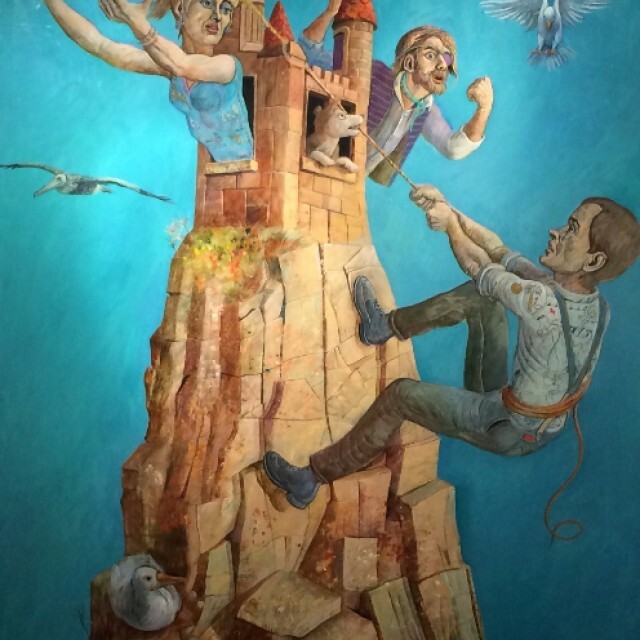 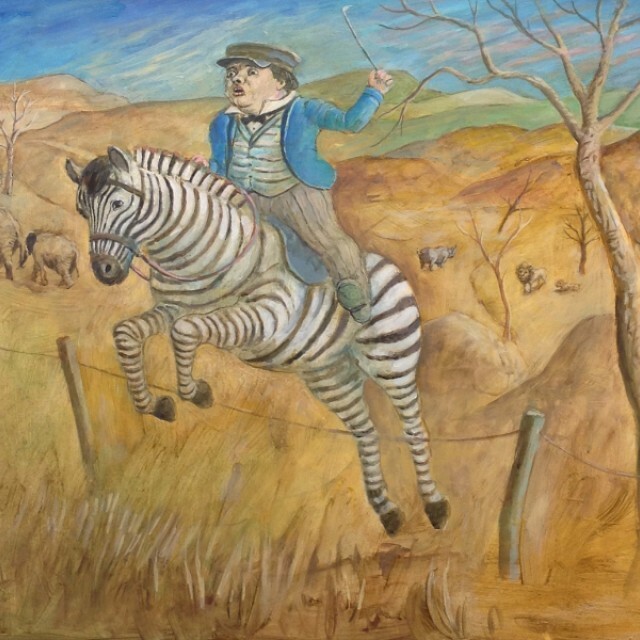 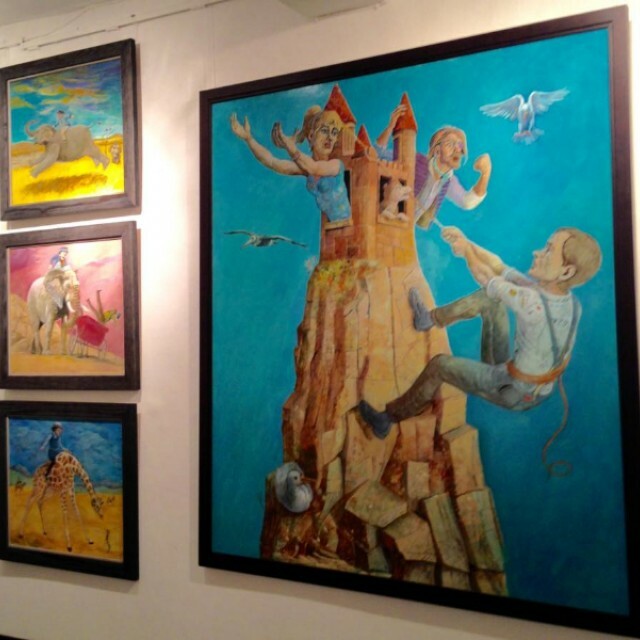 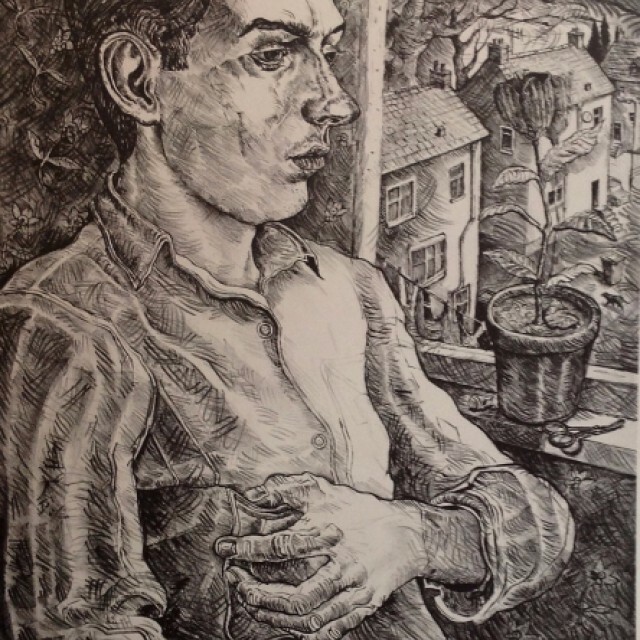 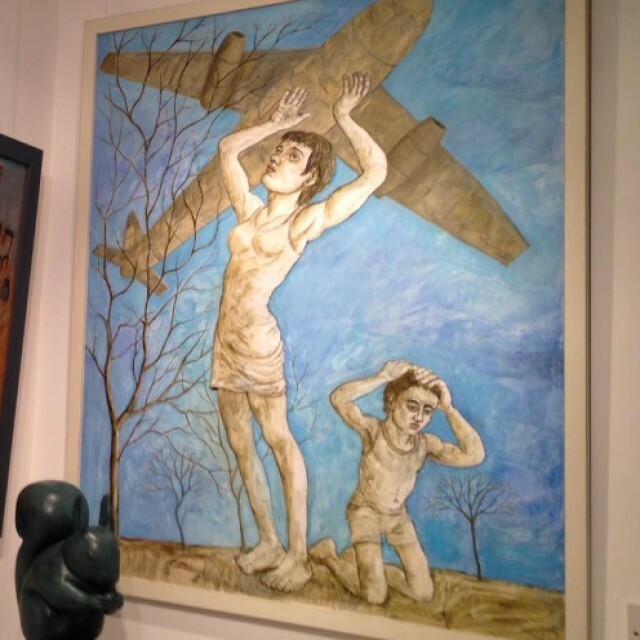 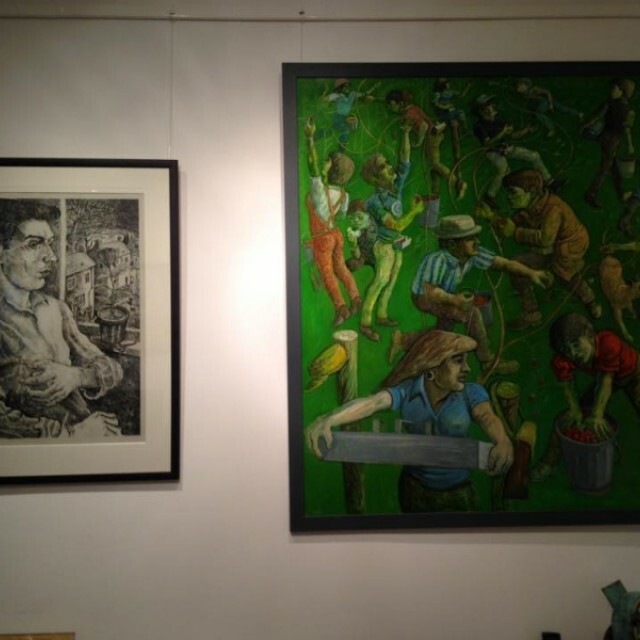 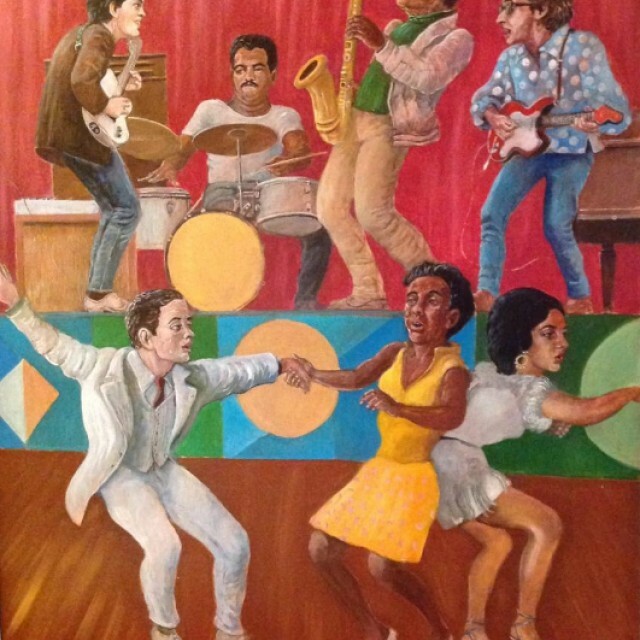 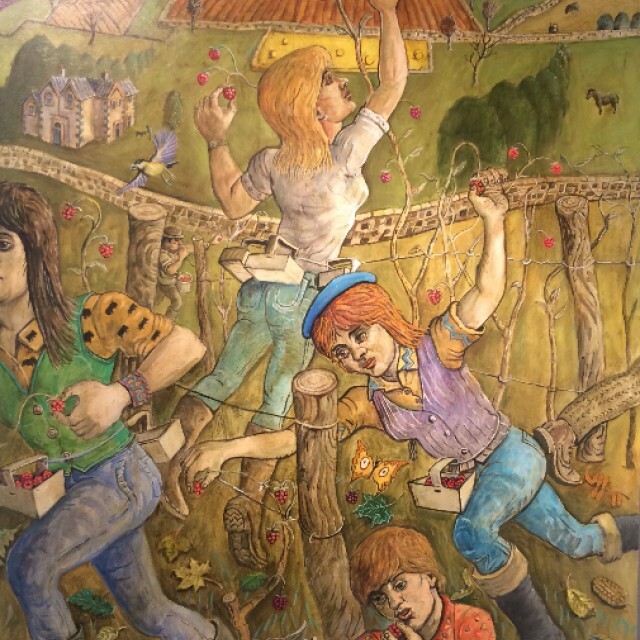 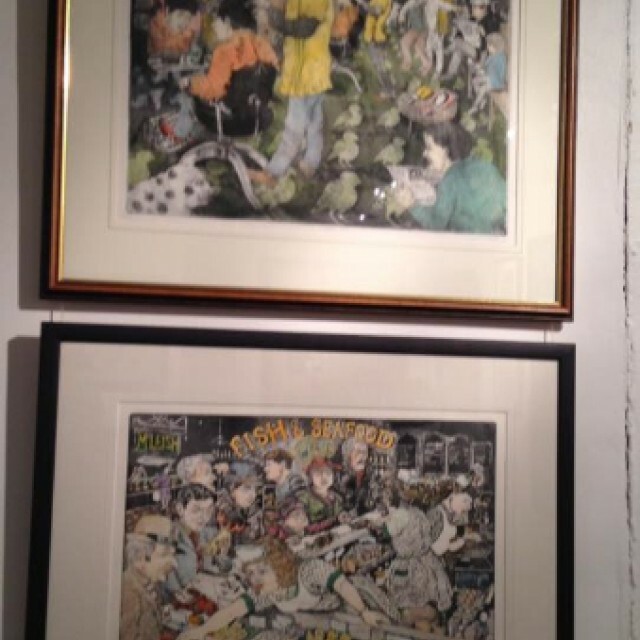 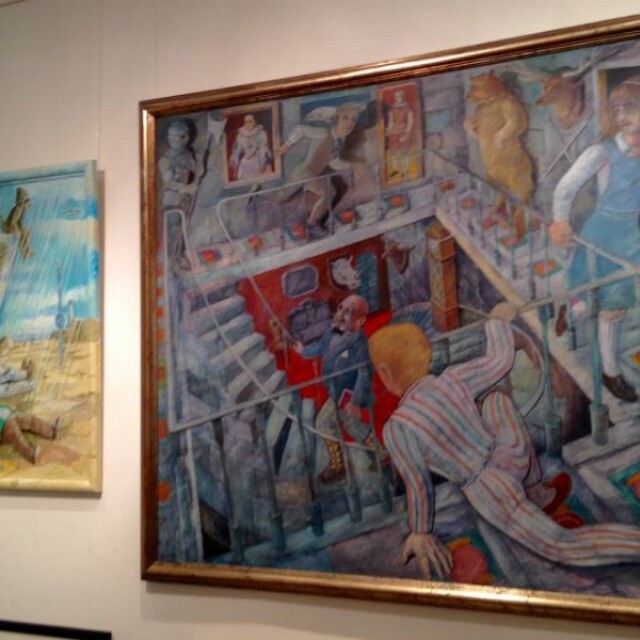 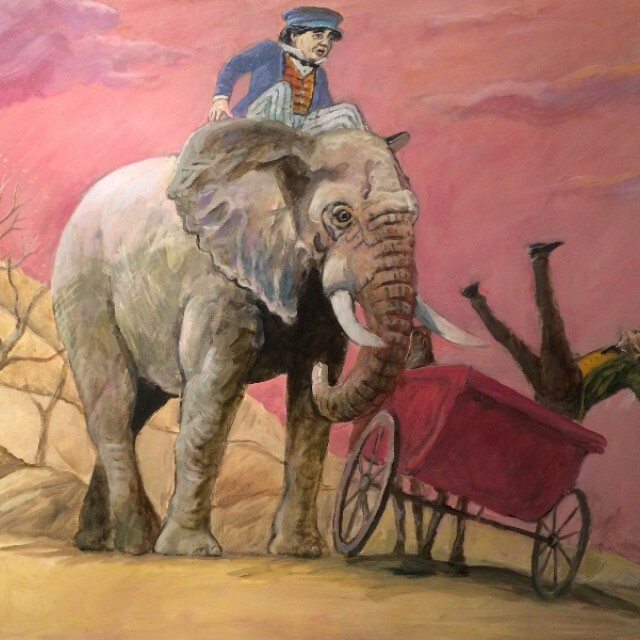 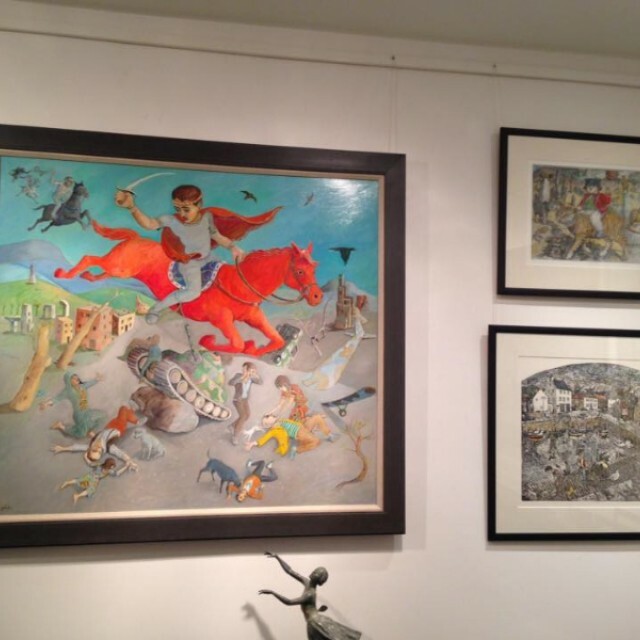 johnstone's work has always been popular, surreal and naive in style, the details, the colour and observed storytelling appealing to a wide audience, however in this exhibition there is also an opportunity for the viewer to look more deeply at the more thoughtful and expressive side of his work and his raison d'etre as an artist.